The fight that boxing fans have been waiting for will finally take place on May 2 at the MGM Grand Garden Arena in Las Vegas. 6 years after the initial negotiations began, Floyd “Money” Mayweather and Manny “Pacman” Pacquiao will face off in the squared circle. The event is expected to be the richest in boxing history, with an estimated $300 million split between the top two fighters of the last decade. Floyd Mayweather has earned a reputation of being difficult to deal with. His most recent dispute was in 2014. Prior to his first bout with Marcos Maidana, “Money” insisted that Maidana wear Everlast Powerlock model gloves rather than his chosen Everlast MX gloves. The dispute actually caused Mayweather to threaten to cancel their matchup on the eve of the fight. Maidana eventually agreed to the demands in order to make the fight happen. 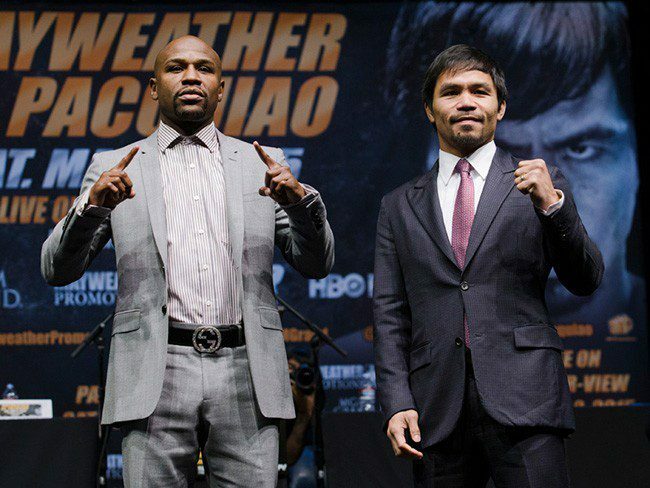 There was speculation from Paquiao fans that Mayweather would pull the same stunt in their planned fight. Thankfully, Mayweather has not disputed Manny Pacquiao’s glove preference, in fact, they have put the glove terms in writing to avoid any mishaps. The agreed terms for the superfight have stated that the bout will be contested with each fighter’s preferred 8-ounce gloves. Both fighters have previously worn Winning gloves in some of their fights, but this time Mayweather will lace up his usual Grant Boxing Gloves. Pacquiao will likely sport his favored Cleto Reyes gloves. The importance of glove choice may not seem like a substantial detail to the casual fan, but it can and will have a big influence on the outcome of the fight. Let’s take a closer look at the gear that the two champions have decided to wear for this historic event. The Grant Professional Fight Gloves are a top choice among many boxers, these gloves feature a fully hand stitched design made from specially tanned leather. With layered foam padding on the front side of the fist, these gloves offer great protection without sacrificing power or comfort. This is not surprising considering “Money” has had issues with hand injuries in the past, so much that he often cycles his gloves in training camp. Grant boxing gloves provide a snug fit that easily conforms to the shape of your hand. Imported directly from Mexico, Grant gloves are well balanced, and not as soft and protective as the Winning brand gloves, often referred to as “pillow gloves”. Such boxers as Tim Bradley, Julio Cesar Chavez Jr, Bernard Hopkins, Evander Holyfield and Gennady Golovkin choose Grant boxing gloves on fight night. The Cleto Reyes Official Fighting Gloves feature a slim anatomical design for a natural, forming fit. The soft knuckle padding is made from horse hair as opposed to high density foam of other popular brands. The horse hair can be manipulated to lessen the knuckle and hand cushion even further which translates to a more solid impact. This makes Cleto Reyes one of the most preferred brands among power punchers. The adverse effect of soft padding is that it offers little protection and can be a cause for hand injuries. 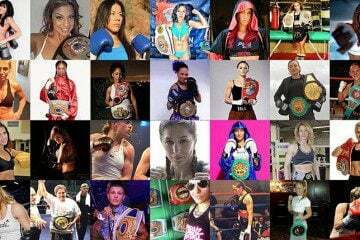 Cleto Reyes are a popular choice by many past and present champions including Arturo Gatti, Juan Manuel Marquez, Amir Khan, Kelly Pavlik and Marcos Maidana. Handmade from Mexican goat skin in the world-famous Cleto Reyes Factory in Mexico, these gloves provide added wrist support due to very long laces and an extra long cuff. We can see the subtle differences here of each boxer’s glove of choice. The main contrast we see with these choices is protection versus power. There are many other factors for selecting the right gloves for fight night. Certain boxers just prefer a certain feel and form around the hand, finding that some are a better fit based on hand size and shape. Wrist support is another key factor that is very important for choosing the right gloves. Poor wrist support can cause damage to the hands and increase the chance of injuries. Weight distribution, balance and padding location are a few other specifics that a fighter may take into account. Most gloves will need to be broken in prior to the fight to form a snug fit to the fighter’s preference. We can also assume the gloves may have been chosen to best suit each fighter’s gameplan. Mayweather is known for using a strategic, safe, defensive approach to win on points. Therefore, it isn’t completely necessary to choose gloves that will give him the highest chance of a knockout. Pacman will use gloves that allow for power, fitting perfectly with his style. Pacquiao would ideally use an aggressive approach combined with speed and power to create a fast-paced slugfest. In viewing one of the often overlooked aspects of boxing, we begin to understand more about the importance of choosing the proper gear when stepping into the ring. We have shown the numerous factors when selecting the perfect pair of boxing gloves for competition. It is important to experiment with all types of gloves to find your personal preference.